As the contact center landscape changes, so too must the reporting and analytics solutions that drive decision-making and performance management. 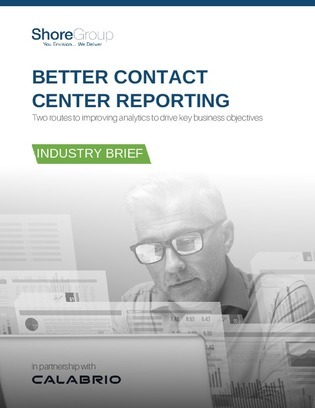 In this industry brief, discover the two routes available for contact centers looking to innovate their reporting and analysis capabilities, and decide for yourself which path is best for your organization. To chart the course to contact center success, download this industry brief, and decide how to optimize your contact center for the changing industry landscape.